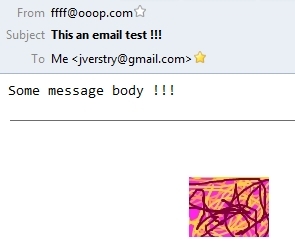 This post describes how to add an image attachment to an email in Java. The code example is available from Github in the Java-Email-Sending directory. To make it work, you will need to set a proper 'to' email address in the code, together with a sending email server login and password if necessary. We use the Apache IOUtils tool to convert our image into a byte array.